Located in the heart of the tallest mountain in Panama City, Cerro Ancon, Bodhi Hostel Panama City is in the best option for travelers who love nature and still would like to stay in an area 5 minutes away from Casco Antiguo and 10 minutes away from the Albrook Terminal Station. Our hostel is surrounded by tucans, monkeys, deers and lots of other animals. At our newest location we have 2 beautiful private rooms and 6 beds in an open dorm. Bodhi opens in this beautiful town to offer travelers the best service and location in town. Visit Coiba, the biggest island in the pacific cost of Central America, where humpback whales, whales sharks, reef sharks, hammer heads, eagle rays, dolphins and turtles can be seen. 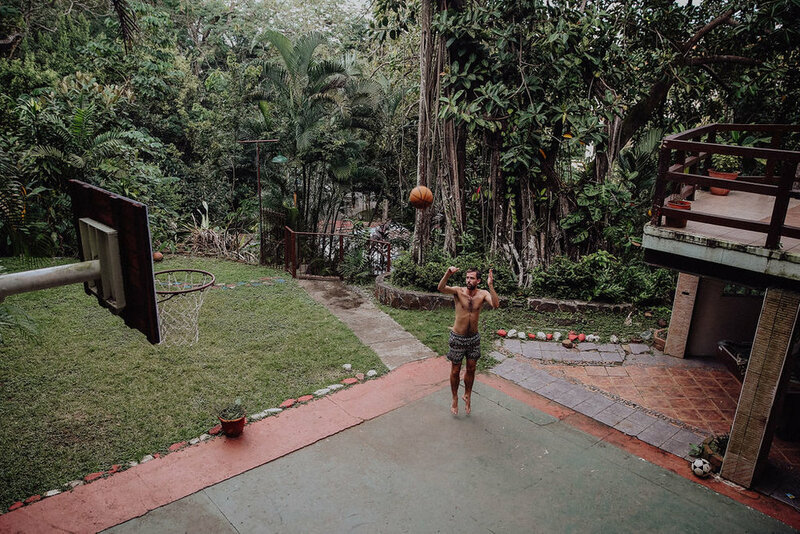 At our base camp we offer accommodation in walk-in style nylon tent with and inflatable mattress for one or two people, social area with games, sofas, hammocks surrounded by rivers in the middle of the panamanian rainforest. We offer accommodation in private rooms or in our 27 bed dorm. Both rooms have comfortable mattresses and a lot of natural light to make sure you enjoy your stay to the fullest in the biggest inhabited volcano in the world. Check out our project social and environmental project: BURWIGAN!